On May 1 2017, a rather peculiar drama played out at Algoa Bay in the Eastern Cape. Not many people paid attention to it as SA’s news cycle was dominated by reports that the then president Jacob ¹Zuma was booed at Cosatu’s main Workers’ Day rally in the Free State, forcing the event to be called off. Meanwhile, a bulk vessel NM Cherry Blossom, laden with 55,000 tons of phosphate en route from Morocco to New Zealand, was seized in terms of a maritime court order obtained by the Sahrawi Arab Democratic Republic (SADR) and the Polisario Front. The Algeria-backed Polisario Front, the independence movement for Western Sahara, has been running a global campaign to declare Moroccan exports from the disputed territory illegal. According to the Institute for Security Studies, the court papers included an article by the then South African minister of international relations & co-operation, Maite Nkoana-Mashabane, calling for an end to the exploitation of the resources of Western Sahara. Morocco was, obviously, furious about the seizure of the ship. Its state media reported that SA was trying to “sabotage” Morocco’s commercial interests following its re-admittance to the African Union in January that year. SA had campaigned against Morocco’s readmission and was among a minority of African nations that voted against it. The Moroccan phosphates company OCP, which is 95% state owned, refused to participate in the legal proceedings in the Cherry Blossom case, saying the South African judiciary had no legitimacy and no jurisdiction to rule on the use of natural resources in the Sahara region. OCP called it “political piracy committed under judicial cover”. The matter dragged on for a year while the ship remained anchored off the Port Elizabeth coast. The high court in Port Elizabeth ordered that the cargo be auctioned but no bids were received as Moroccan authorities vowed to pursue legal action against any potential purchasers of the fertiliser. Eventually, in May 2018, the Cherry Blossom set sail from South African waters after the ship-owners bought the cargo and sold it to OCP for the nominal sum of $1 (about R14). The saga was an unprecedented face-off between SA and another African state and the antagonism between the two nations continues to brew. The rift first opened in 2004 when SA recognised the SADR and the then president Thabo Mbeki urged other African nations to support self-determination for Western Sahara. Relations hit a new low in the past few weeks when SA hosted a Southern African Development Community solidarity conference on Western Sahara in Pretoria. Annoyed by this, Morocco hastily convened a counter conference in Marrakesh on the same day. As things turned out, the Marrakesh conference drew a bigger, more high-profile crowd of African diplomats. So it is with some trepidation that I request an interview with Morocco’s foreign minister, Nasser Bourita, in Rabat. It is one thing to listen to foreign diplomats in SA grumble about their frustrations with our immigration policies and impediments to investment. It is quite something else to question a powerful kingdom about the rancorous and messy diplomatic duel with our country. Bourita is soft spoken and gracious as he ushers us into an expansive, ornate office with a panoramic view of an ancient citadel and valley below. Along the boulevard in front, flags of the Holy See are being mounted in anticipation of the visit by Pope Francis the next day. The meeting between the pope and King Mohammed VI, a descendant of the Prophet Mohammed and “commander of the faithful” in the Muslim world, was significant for the global community as they encouraged religious dialogue and co-existence at a time of increasing radicalism and fanaticism in the world. Bourita says the pope and the king had convergent views on the rights of, and compassion for, migrants. The South African government was at that very time trying to fire fight another flare-up of attacks against foreign nationals while denying that these were prompted by xenophobia. So while SA is losing face with other nations on the continent, Morocco is reaching out to embrace them — although there are accusations that these relations are incentivised. Bourita says Morocco supported the anti-apartheid struggle, hosted Nelson Mandela in 1962 and responded to his request for arms. But the ANC’s historical ties to the Polisario run deeper and inform SA’s solidarity on the Western Sahara issue. Bourita says this approach is flawed. Bourita represented Morocco in a second round of UN-mediated talks in Switzerland last month aimed at negotiating a compromise on the Western Sahara dispute. 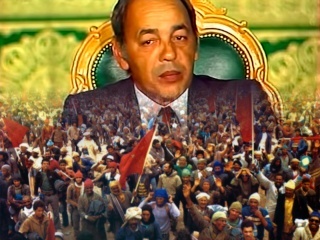 Morocco, the Polisario Front, Algeria and Mauritania are engaged in the talks, which began in December, mediated by former German president Horst Köhler. Morocco has offered autonomy to Western Sahara but the Polisario Front rejects this and wants a referendum that offers the independence of the territory as an option. Morocco has been accused of stalling but Bourita says with the negotiations resuming after six years, it would be difficult to imagine a breakthrough after just two rounds of talks. The Sadc solidarity conference hosted by SA ran counter to this process, says Bourita. “Normally if you are a country working within an international community, you should help, you should not prejudge, you should not be one-sided. You say the parties have accepted to negotiate within the UN, let’s support them and let’s accept whatever they decide. “SA has chosen another way, saying ‘I have a solution for you, I can decide on your behalf and I have even taken some decisions on the basis of the solution I think,’” says Bourita. He says the Western Sahara dispute should not be confused with the situation in the Middle East. “In Palestine there is a UN decision talking about a twostate solution. For Sahara, there is a decision talking about a political process, a negotiation to find a solution with Algeria. If SA wants to be an “honest broker”, it should understand the two positions, he says. Bourita makes no bones about the fact that the Marrakesh conference was convened as a countermove to the gathering in Pretoria. Morocco wanted to send three messages, he says. The first is that most African countries are in line with Morocco’s position. “The conference in Pretoria should not be considered as the reference for the African position,” Bourita says. The second is that the Sadc solidarity conference was a means to divide Africa. Bourita says last year’s AU summit in Nouakchott, Mauritania, decided on a consensus position on the Western Sahara issue. The third message was the stinger. “Morocco is not any country. Morocco has its weight in Africa. People in SA are maybe being misled by thinking that maybe we can do this and Morocco has no weight and no-one will follow. Morocco has weight and his majesty has credibility in Africa. Morocco’s diplomatic manoeuvre seemingly paid off as 37 nations attended its conference and assented to its resolution. The Sadc declaration listed 24 countries supporting the solidarity pledge, including Cuba, Venezuela and Nicaragua. The Marrakesh conference was organised in just 10 days, says Bourita. What’s more, the invitation was extended by him, not the king. Sadc conference documents as “like-minded countries”, such as the US, Russia, Germany and Britain, are not reflected in the final communiqué published on the Dirco website. Bourita claims these countries protested and had their names removed. In response to questions about SA’s position on Western Sahara, Dirco spokesperson Ndivhuwo Mabaya referred the Sunday Times to minister Lindiwe Sisulu’s speech delivered at the Sadc conference. In her address, Sisulu said: “Although the UN has taken an active role in this matter, we as Sadc members have decided that our solidarity will complement these efforts; for as long as our sister peoples of Western Sahara continue to be denied their inalienable right to self-determination and independence consistent with the principles and purposes of the charter of the UN there is no postcolonial Africa. “The Sahrawi people are not asking for something impossible, but, a right to self-determination so that they can take responsibility for their own destiny,” Sisulu said. He would not comment on the claim that some countries asked for their names to be removed from the Sadc communiqué. Bourita says while he has engaged with the former minister Nkoana-Mashabane on the standoff, he and Sisulu have not been able to meet. He says SA and Morocco are missing out on opportunities for trade and investment, and that instead of the continuing impasse, the two countries should be working to develop a model for interAfrican and South-South co-operation. Areas of possible co-operation include developing an African free trade zone and open skies. There is also potential for a partnership between Royal Air Moroc and SAA, he says. In other words, we could all play nicely if SA butts out of our business. But SA has taken a firm stance on the issue of Western Sahara and will not budge on the demand for a referendum. So our rumble with Morocco is destined to continue. Moroccan journalist Adel Zobairi, who reports extensively on the Sahrawi dispute, has another theory for the falling out between SA and his country: the Fifa World Cup. Both nations competed to host the 2006 and 2010 tournaments. The leaders of both nations were apparently irate about the opposing bids from another African country. What made matters worse is that when the Fifa scandal erupted, it was claimed that Morocco had actually won the vote for the 2010 bid but that SA got the tournament due to bribery. And to add insult to injury, SA was one of 11 African states to snub Morocco’s bid last year to host the 2026 World Cup. But this surely cannot be the diplomatic version of boys fighting over balls and boats. It is a principled dispute about sovereignty and self-determination. Très intéressant l'article merci pour le partage ! Morocco and Tunisia have been wondering how protests against the Algerian ruling class will affect them. Two months of protests in Algeria against the longtime president Abdelaziz Bouteflika culminated in his resignation in early April. Last week former parliament speaker Abdelkader Bensalah, who was appointed interim president after Bouteflika stepped down, promised to hold presidential elections on July 4. Though Bensalah’s move was intended to defuse popular anger over his own appointment, the protests have continued unabated. Demonstrators have demanded the departure of representatives of the entire system, Bensalah included. With no clear outcome to the situation, Algeria’s neighbors, particularly Morocco to the west and Tunisia to the east, are closely watching the stunning upheaval that has taken place during the past months. They are right to do so. Regardless of the outcome, Algeria’s ongoing political transition will significantly change regional dynamics in the short and long term. Morocco has had a complex response to the protests. While there has been no official reaction from state officials or media, Moroccan Foreign Minister Nasser Bourita said on March 18 that Morocco “will not interfere in the internal developments that Algeria is facing and will not comment on them in any way.” For the Moroccan government, such caution is warranted. From an optimistic perspective, a friendly Algeria could spur positive progress on the issue of the Western Sahara. The post-Bouteflika era could also bring closer ties between Morocco and Algeria and perhaps allow for an opening of the borders between the countries, which were closed in 1994. At the same time, however, fear of the unknown is likely stirring unease among some government officials in Rabat. Since 2011, Morocco has watched the removal of several entrenched incumbents in its neighborhood. Egypt, Libya, Tunisia, and now Sudan and Algeria have all bidden farewell to longtime rulers. These events may cause Morocco’s elite, known as the makhzen, to wonder if they are the next “system” to go. However, unlike the rest of North Africa, Morocco is a monarchy, and King Mohammed VI may be insulated from protests in a way that Hosni Mubarak, Mu‘ammar al-Qaddafi, Zine al-Abedine bin Ali, Omar al-Bashir, and Bouteflika were not. Yet the king and the makhzen are likely still watching nervously as Algeria’s political transition unfolds, hoping for peaceful change that results in a stable state. Moroccans have used social media to express significant support for, and solidarity with, Algerian protestors. Morocco has a long tradition of protest and understands the power of the street. Having witnessed the various trajectories of post-Arab spring states, however, many people in Morocco are in a wait-and-see mode. Even as they express happiness for their Algerian activist neighbors, they remain uncertain about whether what comes next will benefit Morocco. To Algeria’s east, Tunisians view the ongoing developments with a similar mixture of optimism and fear. There is a real worry that Algeria will slide into chaos and instability, which would have a direct impact on Tunisia’s security. The Algeria-Tunisia border is already a major security challenge for Tunisia. The mountainous region along the border serves as a hideout for terrorists, who from time to time descend into western Tunisia and kill soldiers or kidnap locals. Increased instability in Algeria could result in a weakened Algerian state and security services having less of an ability to control the border. This would be very dangerous for Tunisian border regions. Prior to the upheaval, Algeria and Tunisia had a strong security partnership to address the challenges along the border. The two countries’ cooperation on counterextremism was an exception to Algeria’s traditionally isolationist policies. With Libya already experiencing violent turmoil, Tunisians dread additional spillover of violence from Algeria. It is not certain that the fragile Tunisian democracy could handle another state in chaos on its borders. On a more positive note, Tunisia would benefit from having another Arab democracy as a neighbor. Solidarity protests have taken place in Tunisia, showing that people are excited about the prospects for positive political change next door. This excitement contrasts with the messaging from some Egyptians, who have warned Algeria not to repeat the mistakes that they themselves made in 2011. On the other hand the Tunisian government has been hesitant to offer public advice to the Algerian people on how to carry out a successful democratic transition. Tunisia has long wanted to be viewed as a positive example of how democracy can exist in the region. However, the government also understands that this is a grassroots Algerian movement, and Tunisia needs to keep its nose out of the protests. Given continued uncertainty over the trajectory of Algeria’s transition, the government is also hedging its bets. To most countries, including Tunisia, there is little benefit in taking sides amid a highly tumultuous situation. From the perspective of governments, fear that citizens will be inspired by Algeria and Sudan will likely dictate their responses. Optimistically, some authorities may offer small openings or concessions to activists in an effort to avoid the eruption of similar protests. But realistically, Algeria’s upheaval may serve as a reminder to authoritarian leaders that small protests can spiral out of control quickly, and that they need to rein in activism before reaching a point of no return. Leaders who thought they had successfully weathered the Arab Spring may reconsider their positions. The most meaningful regional consequences of the Algerian protests (like those in Sudan) will be their impact on civil society and the “Arab street.” The Algerian people have joined the ranks of Tunisians and Egyptians in successfully ousting a leader who had been in power for decades. The triumph of Algerian demonstrators, followed by success in Sudan, has inspired activists across the region to remember they are not powerless. This cannot be underestimated. Even without a guarantee, or even a likelihood, that Algeria will emerge a liberal democracy, the Algerian people’s embrace of peaceful, popular protest gives hope to a world that has been witnessing the retreat of democracy. Closing space for civil society in the region and elsewhere has made it difficult for activists to remain motivated. However, no matter what happens in the coming months and years, Arabs are watching Algeria, not to say Sudan, with a renewed sense of hope in the power of the people to make change. On peut la nommer humiliation, ou politique de ruse, ou que le Maroc cherche à calmer le jeu pour éviter leur méchanceté.... ce que vous voulez!!! Ce qui est sûr que la récente tournée de Bourita au MO sans escale a Abou Dhabi est un signe révélateur d’une certaine vision où tactique du Maroc envers les deux foux (Rambos du PlayStation) de cette région arabe... faire ( créer ) une division entre eux sur les alliances... jouant sur les signes et les gestes qui atteignent l’arrogance des foux... parler à l’un, ignorer l’autre... créer une certaine fissuration dans leur entente sur les projets qui portent atteinte au intérêts du Maroc. Le Maroc n’a pas intérêt à laisser s’installer quelconque installation militaire dans son périmètre (Mauritania) qui sera sous commandement des foux du MO , donc la ruse va jouer pour contrer les plans de MBZ. Bon j’ai essayé d’imaginer un peu les dessous des cartes de cette affaire, les jours vont nous enseigner la vérité ! ils ont besoin du Maroc plus que le contraire!